A German Company Has a Solution and It’s Coming to the U.S.
“Mobility management” is one of the latest buzz phrases in the fleet world, and it’s a concept that some predict is the future of fleet management. Now, you may have heard about that a lot recently, but do you really know what it means and, more importantly, how you’re supposed to get there? Well Sixt, the largest car rental company in Germany, No. 2 in Europe and a global player in around 120 countries worldwide, has answers, and it’s planning to bring its solution – the only one of its kind, it claims — to the U.S. this year. So, what, exactly, is “mobility management” and what makes it different from “fleet management”? After an hour-long discussion with Donnelly, it becomes surprisingly clear, no longer a vague notion but a fully plotted program. Fleet management involves the acquisition of vehicles and makes them available to employees so they can do their jobs. Mobility management can include fleet management, but involves other means of transportation – from fleet cars, rental cars, taxis, ride-hailing vehicles, limos, trains and subways, planes and ships– in any combination to get potentially any employee from one place to another, seamlessly and within one overriding budget management system. The business assigns each employee an annual “mobility” budget, to be spent, monthly, on any number of vehicle-based mobility: a fleet car, taxi cabs and ride-hailing limousines, short- and long-term auto rentals, etc. Employees who opt for a fleet vehicle are given the flexibility to choose from a several different types of cars with higher or lower monthly prices, and the ability to replace it with a new one every six months at the latest. The company opens and tracks all employees’ mobility accounts on the MaaS platform, accessible by computer or mobile device. The Sixt services will be deducted from the budget automatically. Moreover, it’s planned to extend the solution for other means of transportation as well. Driver A Instead of accepting a mid-sized car that costs $700 a month, he opts for a compact model that costs $400, and earns the difference in pre-tax income. Driver B wants to drive a fleet SUV in the winter that costs $900 a month, and drives it for six months. But for the rest of the year, she switches to a compact car that costs $500 a month. Over the course of a year her average monthly expense is $700, equal to her allocation, and so she generates neither a payroll supplement nor deficit. Driver C plans to make frequent use of a ride-sharing service, and opts for a $400 fleet car. On average, he spends $200 on ride hailing, and so underspends his budget by $100 a month, and enjoys either more take-home pay in his paycheck or can have the surplus converted to a private mobility budget for use personally for vacations and alike. The potential to reduce the size and operating costs of the fleet by converting a portion of the fleet’s trips to rental cars, shared vehicles and ride services. Donnelly notes that in most fleets, vehicles are parked a significant portion of the week while the fleet is paying the equivalent of full ownership. Keeping up with advancements in vehicle technology, including safety, fuel economy and emissions. Reduction in repair downtime. If the employee’s vehicle isn’t drivable, he or she just turns it back to Sixt and picks up a new one. Less administrative overhead. Sixt handles all maintenance and repairs, including paying suppliers. Donnelly notes that the pricing is comparable with the traditional TCO of a leased vehicle. 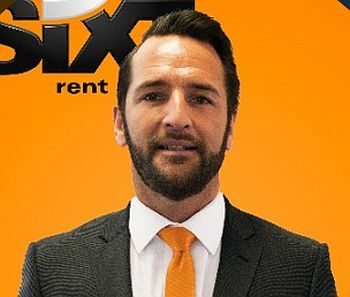 From here, it looks like Sixt’s MaaS program is a turnkey system that can make it relatively simple for a fleet manager to become a mobility manager and to control costs. What do you think? Beginning sometime later this year, a Sixt representative may well be ready to talk to you about it.